The Gustie has a unique path winding from Cancun to Gustavus and beyond. 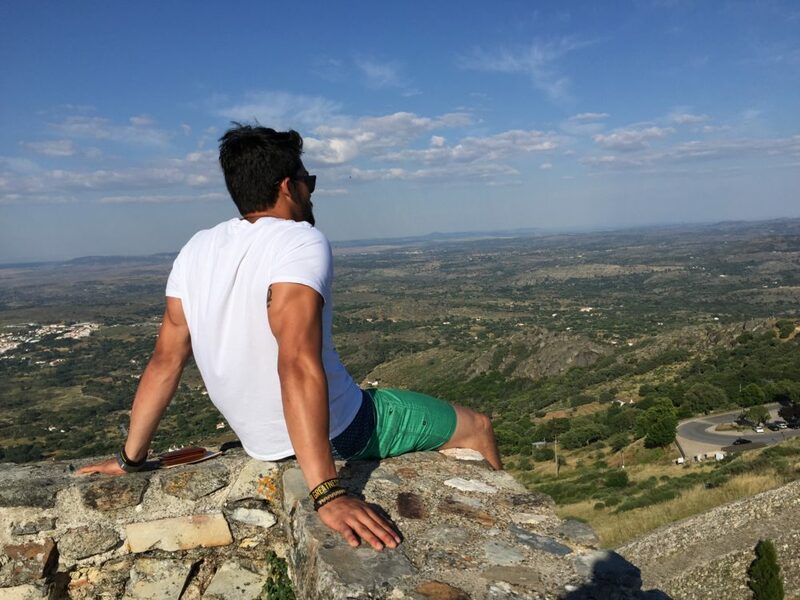 Iker Ortiz Hidalgo '17 spent the summer on an archaeological dig in Portugal. Growing up in Cancun, Mexico, Iker Ortiz Hidalgo had no idea that he would one day attend college in a place that gets as cold as Minnesota. But looking back, the Gustavus Adolphus College senior is glad that he did. 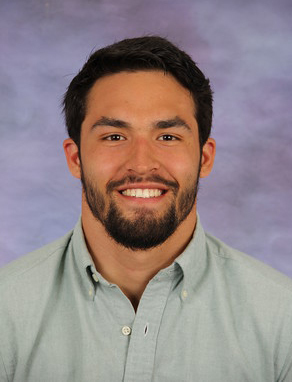 His experiences on the hill have allowed him to discover his vocation, play on the Golden Gusties football team, and – most recently – to spend the summer on an archaeological dig in Portugal after winning the College’s Kehm Smith Award. 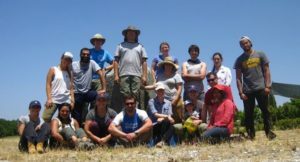 Ortiz Hidalgo, right, with his summer archaeology team. 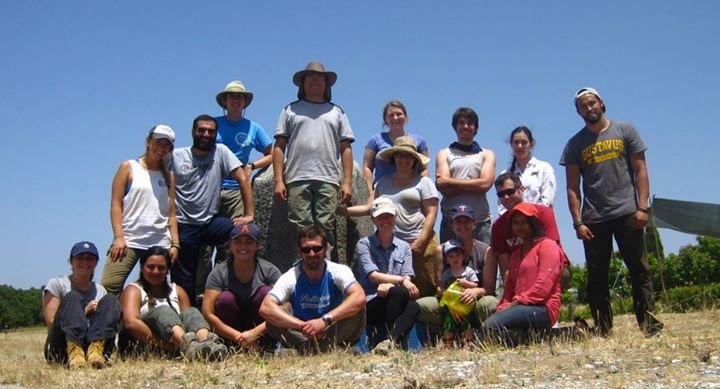 The award, given by Emily Kehm Smith ’06 and her husband, Austin, covers the cost of tuition for a Gustavus classics major to participate in the Santa Susana Excavation Project in Redondo, Portugal. On a typical day, the archaeological team arrives around 7 a.m. and digs until early afternoon on the site, which consists of an ancient Roman villa. According to the Santa Susana website, the complex is contributing to modern understanding of the processes of colonization and settlement in the now-Portuguese corner of the Roman Empire. Ortiz Hidalgo and other students learned surveying techniques, proper handling and processing procedures for artifacts, and how to accurately record the villa’s exposed areas and features. The project is led by Dr. Emma Ljung (Princeton University) and Dr. Joey Williams (University of Central Oklahoma). As a classics major, Ortiz Hidalgo studies the foundations of western culture in the ancient civilizations of Greece and Rome by analyzing languages, literature, history, theater, art, and philosophy. It’s a major he says he’s unlikely to have pursued if he didn’t choose Gustavus. Ortiz Hidalgo first learned about Gustavus from Peter Nyhus ’60, a retired financial executive who splits his time between Cancun and Minnesota. Nyhus is involved in the American football community in Cancun and encouraged Gustavus head football coach Peter Haugen to bring his team to Mexico on a service trip. After being exposed to the Gustavus team at a coaching clinic and watching them play in a scrimmage against a local team, Ortiz Hidalgo became serious about attending Gustavus. 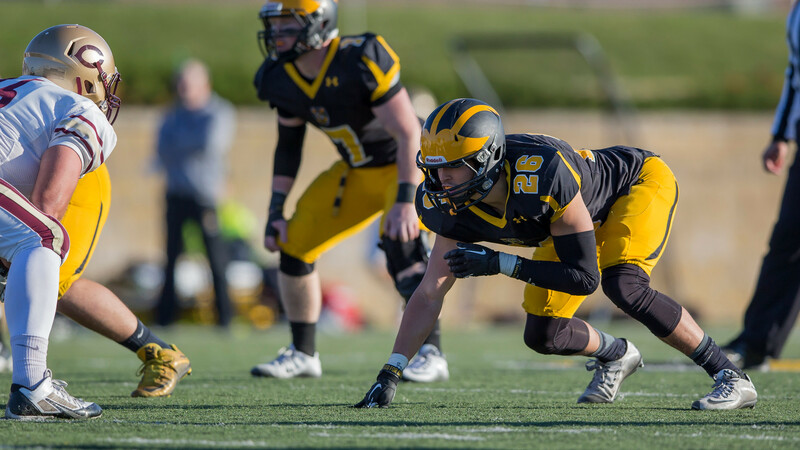 As he prepares to enter his senior season as a key returner at defensive end and outside linebacker, Ortiz Hidalgo is thankful that Nyhus encouraged him to choose Gustavus. “Peter Nyhus has been like a second father figure to me,” Ortiz said. Ortiz Hidalgo (#26) is a key member of the Golden Gustie defense. Very proud of you Iker Ortiz!!! Keep up the good work.